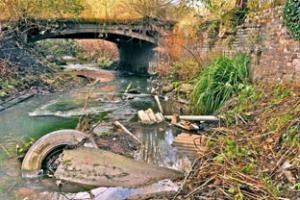 “CAMPAIGNERS are sending out an SOS to rescue a neglected waterway which is at the heart of Stourbridge history. 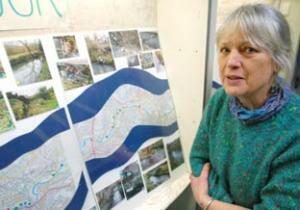 The Transition Stourbridge group says it is time to Save Our Stour and is urging people to get involved with their project to transform the shabby litter-strewn river into a wildlife and tourist haven. The eco-friendly group’s River Project aims to highlight how people can play their part in cutting levels of litter and pollution in the Stour. Rosanne Adams, from Transition Stourbridge, said: “When we did our first litter pick by the river we saw all this rubbish and we just knew that can’t be right, it seemed to be in a neglected and sad state and full of plastic litter. Transition Stourbridge says one of the major causes of pollution is household appliances which have been connected to drains that empty into the river. The group is recommending people check with the Environment Agency to ensure items like washing machines are connected to pipework which will not pour chemicals into the river. Transition Stourbridge’s long-term aim is to work with the Waterside Care Project, a pilot scheme supported by British Waterways and the Environment Agency, to rid the river of damaging pollution and create trails for walkers along its banks. The River Project is being launched as the town prepares to celebrate the 50th anniversary of the Battle of Stourbridge, when community activists cleared the area’s canal in a demonstration of people power which pioneered the restoration of hundreds of miles of Britain’s canals. Russell Eden, founder member of Tidy Stourbridge and chairman of the Stourbug cycling group, believes the Stour has been forgotten by authorities who lack resources or the will to care for the river which gave Stourbridge its name.